Most training and nutrition advice comes from the genetically gifted. 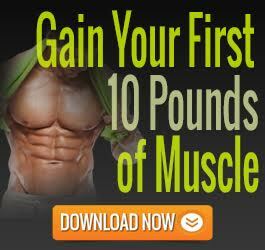 They build muscle easier than most and stay lean while doing so. Does that sound like you? Probably not. Sure, this list of foods is comprised of healthy, nutrient dense foods. 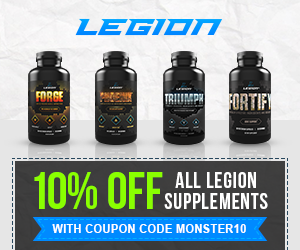 They will certainly be part of your muscle building nutritional arsenal. They can, however, get pretty boring, pretty quickly. Especially, if consumed frequently and in large quantities. I mean how much chicken, broccoli and brown rice can you really eat? Eating “clean” all the time is a great way to limit your progress. Trust me I learned the hard way. Two years of my training life was largely pissed away by being overly restrictive for long periods of time followed by epic blowouts. All that happened was I expended a massive amount of effort for negligible gains. Instead I should have been 10-15lbs. heavier. A complete waste of time and a massive error! Learn from my mistakes. Instead of trying to stuff yourself full of these “clean” foods you need to know where else you can find nutrient and calorie dense, great tasting food. Doing so will help you to consistently pack away sufficient calories, while hitting your macros, to build slabs of muscle. Many people jump off the deep end when trying to build muscle. They fall into the bulking mindset and think that having a burger, wrapped in a pizza, covered in olive oil with a side of mac n’ cheese will get them hyoooge. Wrong! That will get you fat! Muscle building isn’t an excuse to get fat. Getting fat is easy, but it is not desirable. Instead you want to stand out from the crowd. 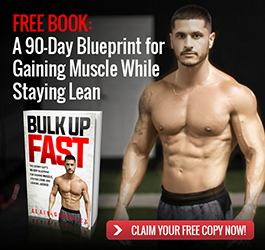 Building a muscular and lean physique will set you apart. It isn’t easy but, nothing worth doing is easy. Get your diet working for you rather than against you. Use the following surprising muscle building foods to get you growing. 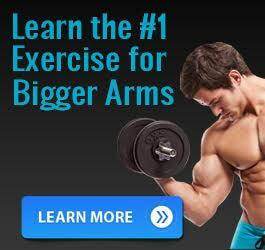 Some you probably haven’t heard of, while others you didn’t think of as muscle builders. Wise up and unlock your mass gaining potential by introducing them into your eating routine. Quark is common in northern Europe. It is a type of fresh dairy product made by warming soured milk until the desired degree of curdling is met, and then straining it. 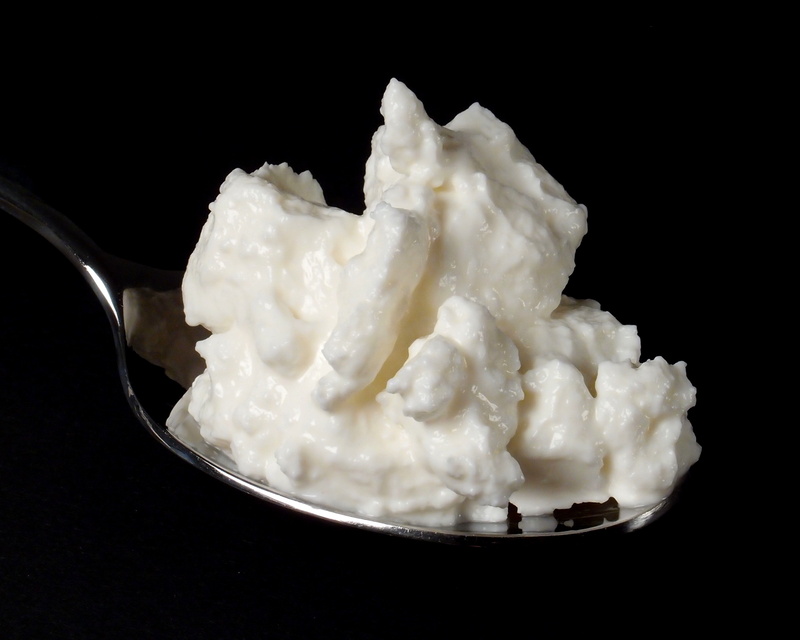 The end-product is a soft, white cheese with a protein content like that of cottage cheese, but with hardly any fat. Quark’s texture is much like Greek yoghurt, although it is generally just a little thicker and more ‘set’. For anyone struggling to eat enough protein I recommend mixing a scoop of protein powder in to 150g of this. You end up with about 45g of protein for about 200kcal. That is a protein powerhouse of a snack! Either eat it straight away as a mousse or stick it in the freezer for 30-45mins and enjoy as a replacement for ice cream. For an easy to eat snack on the go most supermarkets sell berry flavored tubs of the stuff, which provide about 20g of protein. A quick and easy protein snack to help keep you growing. Skyr (Icelandic pronunciation: [ˈscɪːr̥], (pronounced “skeer”) is an Icelandic cultured dairy product. It has the consistency of strained yogurt but a much milder flavor. It has been a part of Icelandic cuisine for over a thousand years. I use this stuff interchangeably with Quark. Like Quark it is protein packed and very low fat. Traditionally Skyr is served cold with milk and a topping of sugar. I must admit I haven’t tried it like this, but, much like the Quark, I suggest you use it to bump up your protein intake as a dessert option. The plain version mixes nicely with protein powder and the manufacturers also sell it with various mixtures of berries, apples and cherries. These taste brilliant and you get an extra 10g of carbs per serving. Keep your fridge stocked with the stuff to get a protein fix when your sweet tooth kicks in. People normally think of rice cakes as a weight loss food. In fact, when I get these out at work I’m often immediately asked if I’m on a diet. Rice cakes on their own won’t get you huge. The trick is to use them to cram calorie dense foods in. The rice cake is simply the vehicle for other, more obvious muscle gaining foods to hitch a ride on. Rice cakes, cream cheese and jam (jelly). My top tip is to use flavored rice cakes like caramel snack a’ jacks. This sweet flavour, with the fats of the peanut butter work beautifully. Likewise, the cream cheese and jelly combo on a caramel rice cake is like having a mini, macro-friendly cheesecake. The options are endless really. Let your imagination run wild with the concoctions you can create from different nut butters, bananas, honey, cream cheese, jelly, Nutella, chocolate and the like. In Britain, we love these bad boys on toast with some scrambled eggs for breakfast. That right there, is a great way to kick-start your day. The breakfast of champions! I have heard rumours that, in and around Quebec, they add maple syrup to their beans. Now that is a high calorie option I am going to look into! Probably with some bacon and eggs. Nomnom! Another great breakfast/brunch option incorporating baked beans is to buy the pack with Mexican spices mixed in and use them as part of a Huevos Rancheros. This versatile option is great either as a quick breakfast, a pre- or post-training meal. 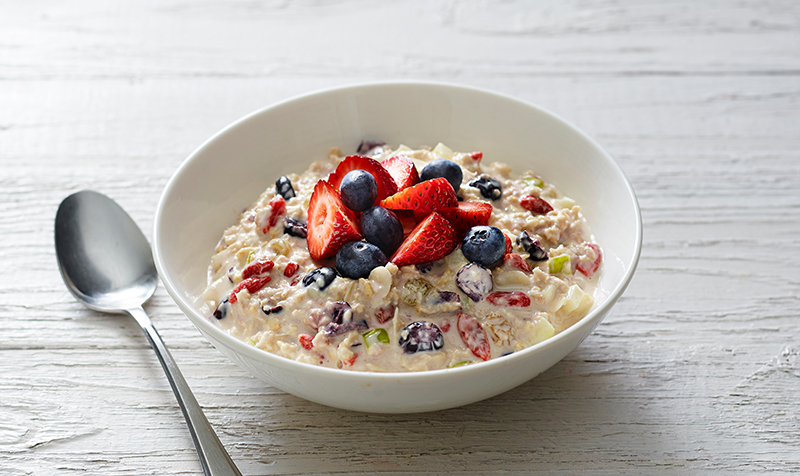 The original Bircher muesli dish was prepared by mixing cream and honey with soaked oats and lemon juice, then while stirring, grating a whole apple into the mixture. Apples, “two or three small apples or one large one.” The whole apple was to be used, including skin, core, and pips. Nuts, either walnuts, almonds, or hazelnuts, one tablespoon. Lemon juice from half a lemon. Either cream and honey or sweetened condensed milk, 1 tablespoon. A calorie dense tasty combo if ever I heard one. There is one problem though. There is hardly any protein in there. This is fine if you are having the Bircher muesli in addition to a protein containing meal. If not, you can use either Skyr or Quark as a replacement for the cream/condensed milk in the original recipe. 567kcals, 31g protein, 76g carbs and 16g fat. I first got this high calorie snack tip from Charles Poliquin. No, not his anabolic avocados from the Dominican Republic, but trail mix. I have to say that over the years it has been a winner for me and countless clients. This is another perceived “diet” food that can fast track your gains. This snack can be carried anywhere and snacked on throughout the day. A perfect weight gaining food if ever I saw one. I often use this as a snack washed down with a protein shake on days when I am stacked up, back to back training clients. For my clients I often recommend that they have a stash of the stuff at work so that they always have a high calorie snack ready to go. This is invaluable for busy stressed out office workers who can’t leave their desk to grab a meal. Like rice cakes and trail mixes, these are yet another option most people associate with weight loss. It is easy to create a smoothie containing well over 500 calories with a good nutrient dense mix of protein, fats and carbs. What is better – they can taste amazing! Drinking a smoothie means you can cram valuable calories and nutrients into an easy to consume drink. Doing so won’t leave you feeling full. This leaves you with plenty of appetite to stuff your face with the other foods on this list the rest of the day. That adds up to a great tasting 473kcals. With 35g protein, 21g fat and 37g of carbs. 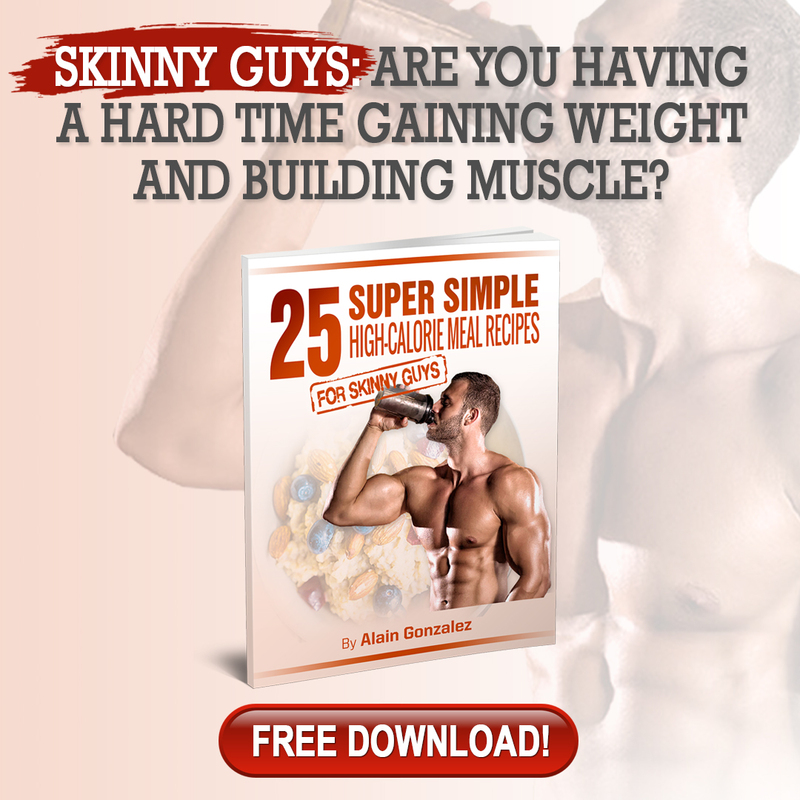 A muscle gaining meal made easy! Need more calories, protein, carbs or fats. No problem. Lacking in protein – add another scoop of powder. More fat…an extra spoonful of peanut butter is always a good idea. Want to bump the carbs up? Simply throw a cup of oats into the mix. This one fits right in with rice cakes, smoothies and trail mix, in that, it is generally viewed as a healthy fat loss food. 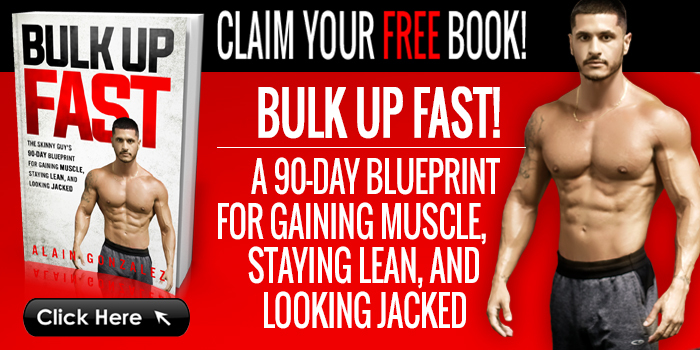 Like the other examples, most people are missing a muscle gaining trick. 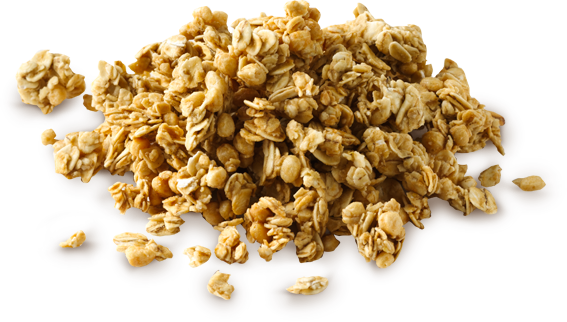 The base of a granola is oats. Oats are a filling, high fibre food. Because of this it is possible to use granola as a part of a fat loss diet. To do so they will probably taste quite bland. The muscle gain version, however, packs a calorie punch and tastes awesome. The oats become a very dense source of calories once dried out and sweetened with syrups. Maple syrup granola is my absolute favourite! Adding nuts such as, walnuts, almonds or pecans is a good start to bumping the calorie content up. Then add some dried fruit like raisins, craisins, dates or blueberries. As I explained in the trail mix example, the dried fruits, nuts, and seeds that provide a hefty calorie boost. Much like the trail mix, granola can be carried around and snacked on throughout the day. Simply add some full fat milk or yoghurt to boost the calorie content even higher. Granola has the same flaw as the Bircher muesli, in that, it is low in protein. This can easily be fixed. First up try mixing a vanilla protein shake and pouring this over as your “milk”. Alternatively, use the aforementioned Skyr or Quark as a protein source in place of normal yoghurt. Like rice cakes bagels can be used as a vessel to cram in more calorie dense foods in. A cinnamon, raisin bagel topped with peanut butter, anyone? Yum! Bagels are far more calorie dense themselves than rice cakes. A typical bagel will contain about 230kcals and 44g of carbs. They also rank very highly on the glycemic index making them a great post workout snack. One of my favorite post training treats is a bagel topped with banana and honey. Bagels are versatile and can be used for both savoury and sweet meals. My favorite savory option is a smoked salmon and cream cheese bagel. I could easily eat a couple of these in one sitting. They can be a bulking life saver when you consider that just one has the best part of 600kcals, 30g protein and 55g of carbs. It is super simple to turn your standard yogurt into a protein packed dessert. You can make all sorts of protein fluff combos. Or simply add a scoop of protein powder, mix and then stick it in the freezer for 45 minutes and you have high protein fro-yo. There you have it. 10 great tasting muscle building foods to add to your grocery list. Quit eating the bro approved “clean” foods and start making some progress by embracing the foods on this list. I guarantee that there are some foods on the list you haven’t been eating, but will love. High calorie foods, packing a protein punch that taste great…now that is recipe for muscle building success!